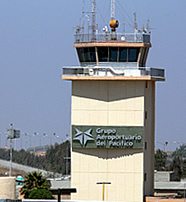 Transport from Tijuana Airport into the city centre is provided by authorized taxi cabs, vans or sedans. Tickets for the service are purchased from stalls located at the airport exit and the rates for the same are either official or fixed. The cost of a ride to Zona Rio 15mins away is $200 Pesos. You will pay $250 for the 25min ride to Zona Centro, and $300 for the 30min ride to the Grand Hotel. In the event that you don’t have Pesos you can make the payment in US Dollars. An alternative means of transport from the airport and into the city centre is via bus. This is actually public transportation and it goes for $8.5 Pesos which is slightly under 1 US dollar. These buses are painted in white and blue colours, with the legend ‘Plaza Rio’ or ‘Centro’, and are parked outside the airport, headed for west. Making the payments in US dollars is also allowed. Buses from the Mexicoach service ferry tourists from the US side of the border and into Mexico, and further inward until the Revolucion Avenue bus station. The buses are available all day every day and they charge $5 for a one-way trip and $8 for a roundtrip. From the airport you can also use international coach transport, say if you are headed for San Diego or other destinations in South California. There are airlines that avail this coach service to ferry visitors to/from destinations in San Diego like the Lindbergh Airport. There are plenty of cabs in Tijuana City starting from the border crossing at San Ysidro. Here you will encounter many yellow cabs all willing to take you to downtown Tijuana. Before getting into one of these ensure that you have negotiated the price first – in normal traffic you shouldn’t pay more than $5 for the trip. If you leave the border and walk to the right rather than straight ahead, then across the street, you will find the Taxi Libre taxi stand. The cabs at this stand, which are painted white and with a red strip, charge half what the aforementioned yellow ones do. The yellow cabs are unmetered while the Taxi Libre ones are metered but you should always be keen with the drivers.